One month ago, in the aftermath of the infamous Elon Musk "going private" announcement, we suggested that when all is said and done, Tesla would be the one stock that is hit with class action suits by both shorts and longs. 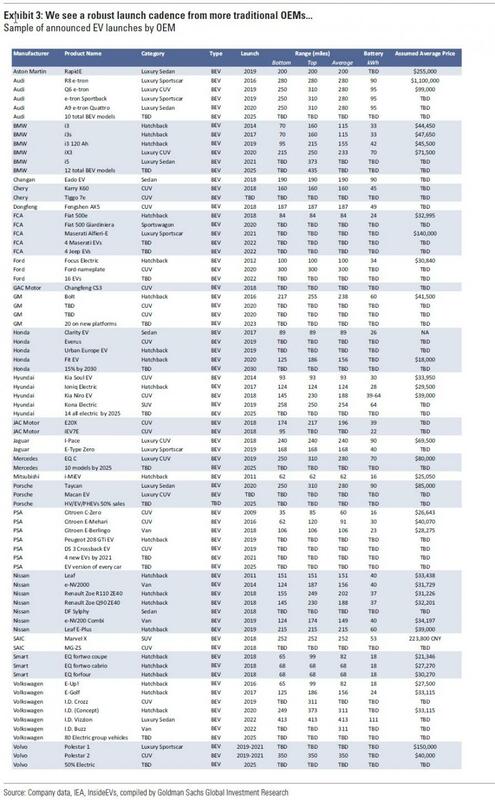 TSLA will be that one stock that sees class actions suits by both shorts and longs. And with Tesla already subject of litigation by numerous shorts, especially now that Musk retracted his "funding secured" tweet, and the SEC sniffing around, it is time for the longs to step up. Today's price action provided a good opportunity, as Tesla stock tumbled following negative sellside reports from two Wall Street firms coupled with an announcement from Mercedes-Benz, which unveiled a high-end electric car that is expected to start production in the first half of next year, and directly compete with Tesla's product offering. Tesla shares closed the day down 4.2%, just under $289, the lowest closing price in three months and marking the longest losing streak since March. Tesla has now lost nearly a quarter of its value since Elon Musk’s tweet about taking the company private early last month. 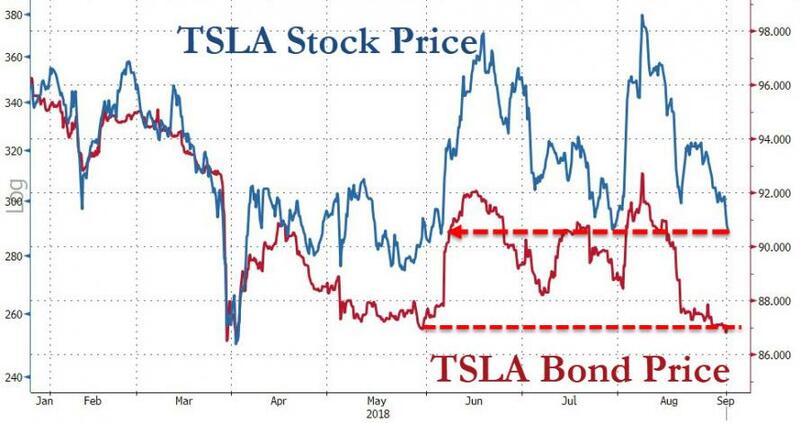 More troubling was that the recent selloff in Tesla bonds has resumed, and on Tuesday Tesla's benchmark 2025 bonds dropped to a fresh all time low as investors see growing credit risk in the name which has a rapidly growing debt load and a declining cash balance. The selling started after Goldman Sachs analyst David Tamberrino reinstated his Sell rating on the stock earlier today with a $210 price target warning that he sees "the medium-to-longer term industry backdrop as challenging for Tesla’s products; this follows from an increasing number of EV launches from both traditional OEMs and other start-up competitors – at a time when the company’s product cadence hits a gap." Even one-time Tesla fans appeared to be turning their back, as Morgan Stanley analyst Adam Jonas published a note saying Tesla’s ride sharing/robo-taxi business could be worth only a fraction of Waymo, lowering his initial predictions about the potential business, Bloomberg reported.